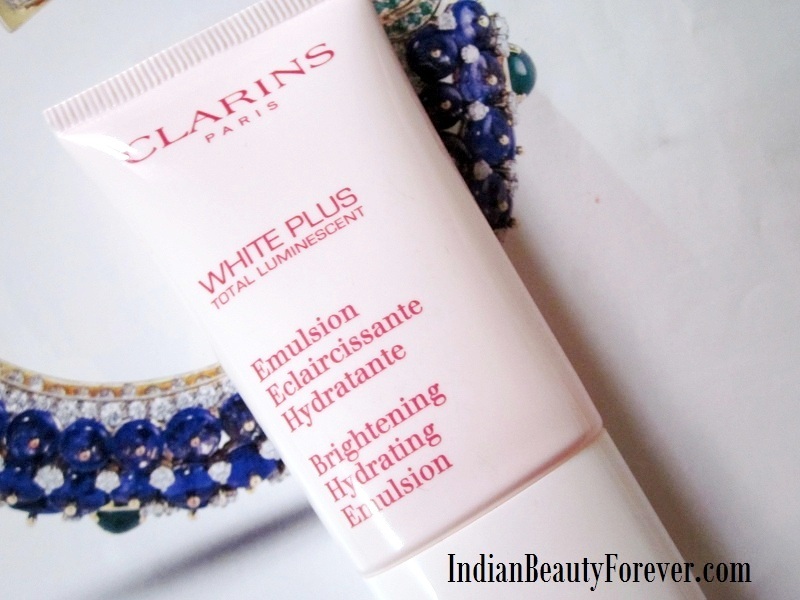 Today, I will review a serum/emulsion which is from Clarins whiteplus range. Clarins is a French Luxury Brand that brings makeup, face care and hair care products. Claims- This clarifying emulsion ensures radiance, hydration and well-being. Its milky texture, fluidity and extreme softness make for a velvety, matte finish and the smooth, satinized appearance of silk. This facilitates the application of make-up and makes it last longer. Experience- I got this a couple of months ago and have finished it already. The original pack is for 75 ml and this one is the smaller sample pack. The larger pack doesn’t come with a pump just a screw cap. But that isn't a flattened tube like this. This smaller 15 ml pack when used twice a day morning and evening lasted me a whole month which means the bigger pack can take you at least 4 months id not 5 to finish. This emulsion has a milky white translucent serum kind of texture which gets absorbed really quickly and doesn’t matter what skin type you have. I have combination skin and not on any day I felt, it made me greasy or something except for humid days. It smells like fresh leaves or something very herbs sought of. Nothing too strong though. My skin felt smooth, supple and velvety which even they have mentioned in the claims. I have used only this product on my face after the cleansers and sunscreen when I stepped out of my house during the day time. After using it for a month, I can say that it surely has made my skin texture better and even after discontinued using it, my skin didn’t behave badly which happens with a lot of product if you would have noticed, as when you are using them, they show positive results but as soon as you stop your skin isn't the same! Thankfully, it wasn’t the case with this emulsion. 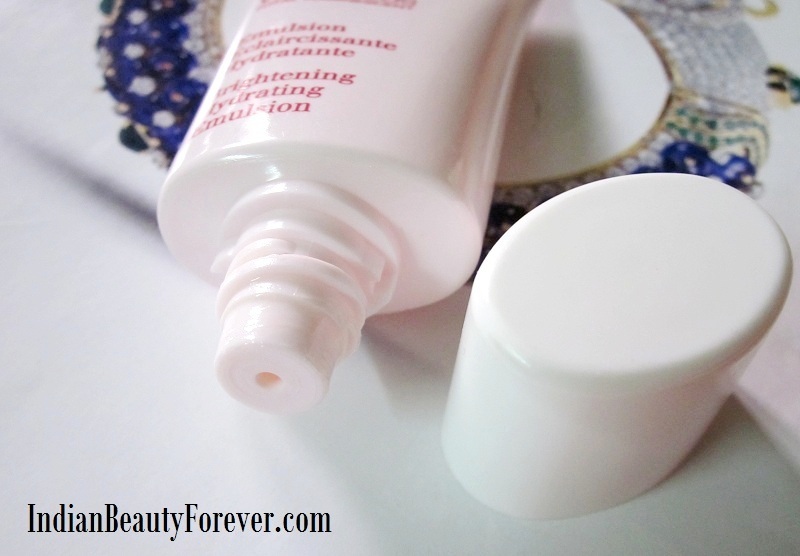 If you have dry skin then you would need something else too over this serum. As my skin looked toned and hydrated well it looked brighter but I will still say that there weren't noticeable signs of complexion lightening or slowing down my hyper pigmentation around the jawline. The time when I was using it, I have not face any allergies, redness, rashes and most importantly acne or whiteheads. Whitening or spot lightening has not been noticed till the time I used it. Take- Clarins white plus total luminescent emulsion does improve your skin texture and brings a subtle glow to it. Even if you have oily skin, you won’t feel greasy. Skin looks radiant but no lightening/whitening. Good for everyday use. It you don’t mind splurging on this, you can definitely try it else skip it and look for other decent options! Very expensive, you have reviewed it well dear. lol.. same here dear!! even I cant! :) Thank you! 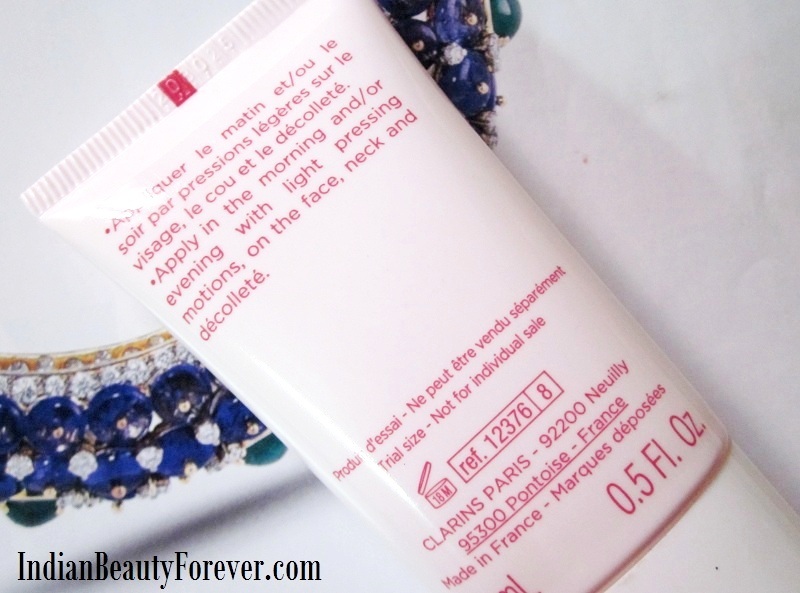 When I read clarins i had high hopes but nothing interesting just an average product! You are absolutely right Rachna! Lovely review Niesha! I want to try Clarins...sounds like a gd option:) Pricey though! Thank you :) I would suggest you to look for their other products! Seems nice ...but than i see the price again... not that great for the price... right? Nice review Niesha, :) Sounds good!! Seems good. But quite expensive! Nice review Nieshu! It in anyways dont justifies the price Saniya! :) Better skip! Wow .looks great but v expensive though.. Very well reviewed. I actually love Clarins so much! My winter skincare is mostly clarins, but hope to try newer brands this winters! Thank you Aditi! :) I hope other products are really good!